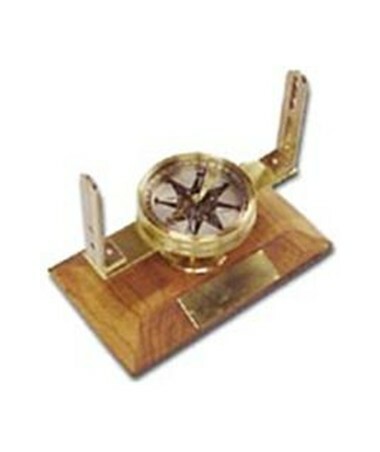 This is a working 1/2 scale Rittenhouse compass. The needle is lifted by a small screw, the sights remove, and the compass itself can be unclamped from it's base and rotated or removed. This makes a great gift, perfect for awards or presentations. A brass plaque is affixed for you to engrave.